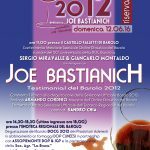 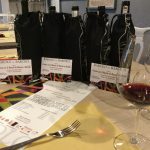 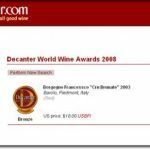 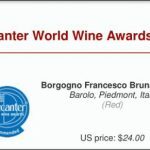 Abbiamo ricevuto nel 2011 la Medaglia d’Oro per il nostro Barolo Brunate, nel 2008 la Medaglia di Bronzo del Decanter World Wine Award e nel 2009 la Commended Medal per il Barolo Brunate Docg 2005. 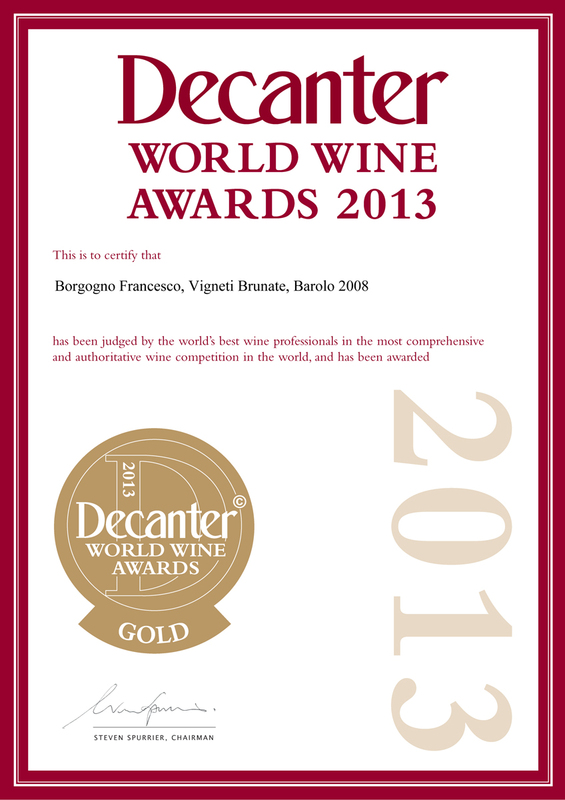 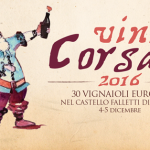 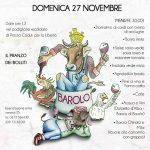 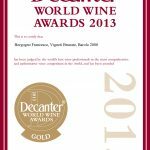 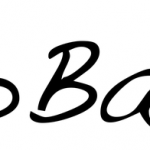 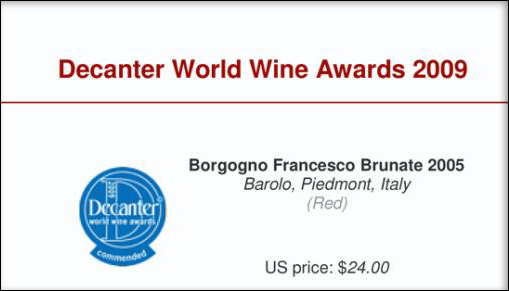 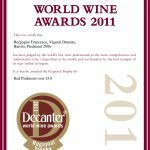 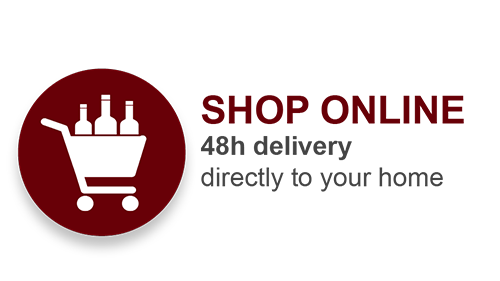 This is to certify that Borgogno Francesco, Vigneti Brunate, Barolo, Piedmont 2006 has been judged by the world’s best wine professionals in the most comprehensive and authoritative wine competition in the world, and was found to be the best example of its type within its region. 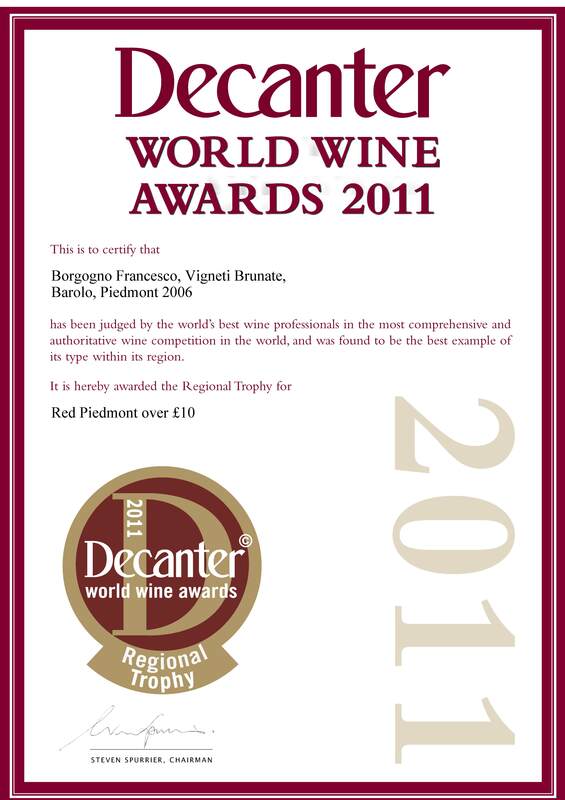 It is hereby awarder the Regional Trophy for Red Piedmont over £10.